The first few nights will be unnerving for you and your little one. Should you co-sleep with your baby or not? This question has caused some furious debates in every mum circle and forums. Some parents are committed co-sleepers and some, absolutely negate the idea. And while there are certain benefits of co-sleeping (easy breastfeeding, natural bonding, easy to calm your baby), we can’t deny the adverse effect it has on infants. There has been a lot of cases where newborns have suffocated to death due to bed-sharing. A Pediatrics study published in 2014 found that 74 percent of deaths in babies younger than 4 months old were due to a "bed sharing situation".Sleep experts and paediatricians, too, advise parents to avoid sharing the bed with their kids as it might hamper their sleep patterns, bedtime schedules and confidence building. Despite all the valid reasons, sometimes sleeping with your tot seems to be the only way to calm the situation and before you realise, it becomes a habit. 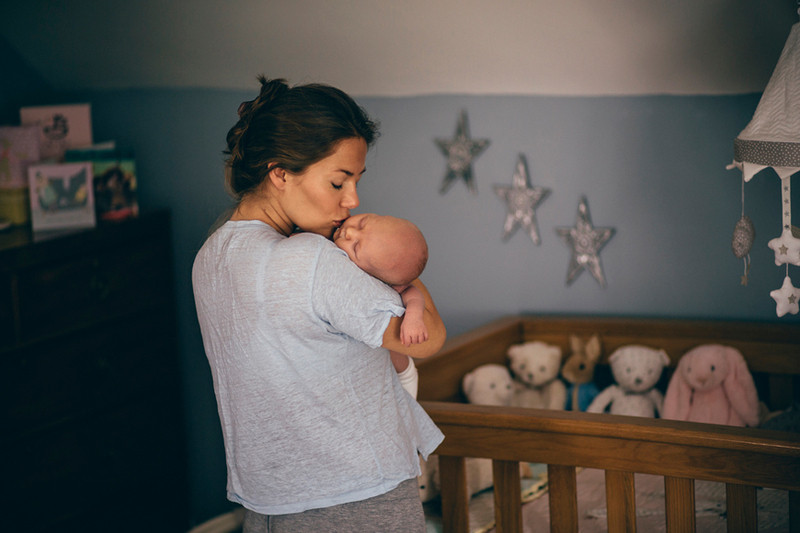 If you're struggling to break the co-sleeping pattern then scroll down to see some ways to make the transition easier for yourself and for your little one. 1. Choose an appropriate new bed. Every little change you introduce (a new toy, a new crib, change of place) has a substantial impact on your little one's growth pattern. Before you take the big step, lay the ground work. Let your tot play in the crib and get settled in the place. Show them new things (stuff toys, pillows, bed sheets) about the crib or the bed (for toddlers above 2 years) so that they have enough time to be comfortable in the new sleeping place. 2. Sit by the crib for the first few nights. This one is a given and you're probably going to do it anyway. The first few nights will be hard for both the sides. You'll be paranoid about their safety and breathing while they might not have a peaceful sleep. Instead of picking them up and dropping the whole plan, sit by the crib, rock them gently and offer them whatever comfort you can. Once your little one is asleep, leave. Ideally, it should take less and less time for your tot to fall asleep each night. 3. Add a soothing touch. There's really no right or wrong way to make the transition. In the end, it all comes down to what makes your angel feel secure and comfortable. It could be your old t-shirt, a scarf with your fragrance or their favourite stuff toy that does the trick. The new sleeping arrangement will be a little unnerving for your child, so be prepared to help resettle her as needed for the first few night.